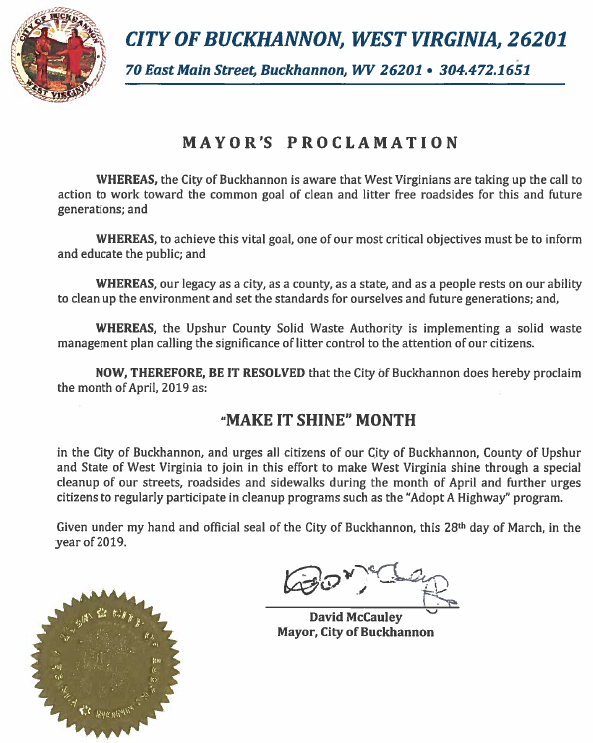 BUCKHANNON: April is Make It Shine Month! Take some time to clean up your property and surrounding roadways and parks. We encourage you to take advantage of the free disposal days at the Waste Department on the Mudlick Road and participate in Make it Shine and Adopt-A-Highway cleanups scheduled in the City and Upshur County. 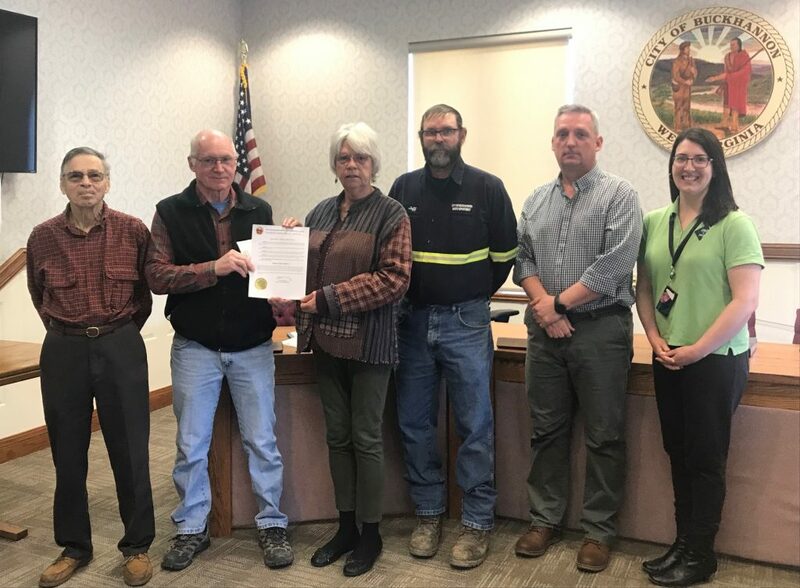 On Thursday, members of the Upshur County Solid Waste Authority joined members of the Buckhannon Waste Collection Board to proclaim April to be “Make It Shine” month in the City of Buckhannon at Buckhannon City Hall. Councilor Mary Albaugh (also a member of the City Waste Collection Board) read the proclamation and thanked Burl Smith, Director of the Solid Waste Authority, for their efforts in litter control and recycling education. Dr. Paul Richter, Upshur SWA member, Jeff Wamsley, City Waste Department Supervisor, Jay Hollen, City Engineer and City SWA representative, and Beth Henry-Vance of the WV Department of Environmental Protection Environmental Advocate’s Office also took part in the proclamation.